Star Trek: Renegades - the producers answer (some of) your questions! Today's post on the ST:R page answers some of the Q's that a lot of you were asking me several weeks ago when I posted the first trailer for this indie Kickstarter project featuring Walter Koenig, Tim Russ, and others reprising their Trek roles. 1. Chekov is 147 and that life span is not uncommon in the future. 2. This is the Prime Universe and takes place 10 years after Voyager returns to Earth. 3. We finished filming on October 16th and anticipate having it completed June/July 2014. 4. CBS owns the rights to Star Trek and we will pitch it to them in the summer. Our hope is that it will get picked up as a network or online series. If not, the pilot will eventually be available for download on you tube. 5. 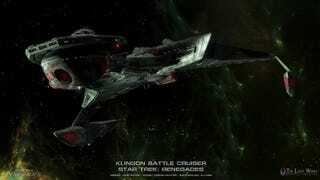 We raised the funds through Kinckstarter and Indigogo and we are still accepting donations for post production at www.startrekrenegades.com. 7. We are the team behind Star Trek of Gods and Men and Roddenberry on Patrol which can be downloaded on you tube for free. 8. Several Star Trek alumni and sci-fi icons are in Renegades; click on link for full details. http://www.imdb.com/title/tt262144…. 9. Our Captain Lexxa Singh is a descendant of Khan. 10. Star Trek fans are the greatest fans in the world and without their support, Renegades would not have been possible.